This is a short (6″-20″), drought tolerant,warm-season, tufted grass. It is most commonly found on the prairies, but can also be found up to 9,000′ elevation. Best adapted to heavy soils, but also does well on sandy to clay soils. Tolerant of saline and alkaline soils. A quick germainator with good winter-hardiness. Widely used for range, pasture, reclamation, and low-maintenance turf. Blue Grama is the Colorado State Grass. 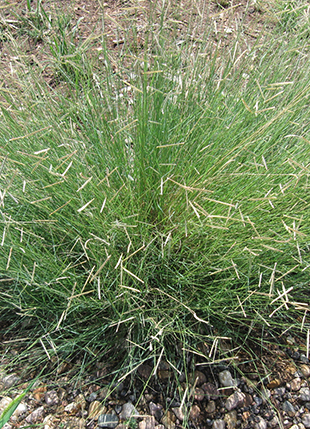 Blue Grama grass is a short (6″-20″), moderate drought-tolerant,warm-season, tufted grass. It is most commonly found on the prairies, but can also be found up to 9,000′ elevation. Best adapted to heavy soils, but also does well on sandy to clay soils. Tolerant of saline and alkaline soils. A quick germinator with good winter-hardiness. Widely used for range, pasture, reclamation. Partly sod-forming and can be grown as a low-maintenance turf grass. Blue Grama is the Colorado State Grass. In higher elevations, plant only in open, south or west facing areas. Pricing is for Native variety, please call for pricing on other varieties. 1 lb., 5lbs., 10 lbs., 25 lbs., 50 lbs.